There’s so much to enjoy at Aulani, A Disney Resort & Spa in Ko Olina, Hawai‘i, but if we had to pick just one event—a really tough choice, by the way—for us it would be the Starlit Hui. Offered several evenings every week, Starlit Hui is a celebration of Hawaiian traditions and modern entertainment and is considered the signature evening event at the Resort. It’s a must see on your vacation. And anyone who’s seen it can tell you why. Quite simply—it’s magical. Let’s just start with the preshow. Ever been to one where you get to make lei, learn lau hala plaiting, a Hawaiian art form using pandanus leaves to create handmade keepsakes, and hear enchanting stories? You do, here. Before you know it, the stars are shining and the sounds of music and song are rising to greet you. Time to settle down on the mats provided and watch the stage fill with graceful dancers who sway, turn and bend in dances that are both contemporary and as timeless as the nearby ocean waves. One of the first things the creative team determined when conceptualizing the show, was that they wanted to celebrate Hawaiian dance and music unlike commercial lū‘au which typically include dances from other areas of Polynesia and the Pacific. To do that, it was essential to find the right creative team, according to Shelby Jiggetts-Tivony, Creative Development Executive, Walt Disney Imagineering. Jiggetts-Tivony assembled a team that included Kaleo Trinidad, a dynamic hula choreographer and Peter Rockford Espiritu, a choreographer of modern dance with a background in hula. So you’ll see aspects of traditional hula as well as modern choreography subtly interwoven in the show. In one act, puppeteers fly delicate white birds while a singer performs in the Hawaiian language. In another, male dancers perform a nighttime fishing song complete with gleaming torches. It’s just breathtaking. To Jiggetts-Tivony, that’s just one example of how little things add up. “It was important for us to get every detail right,” she says. 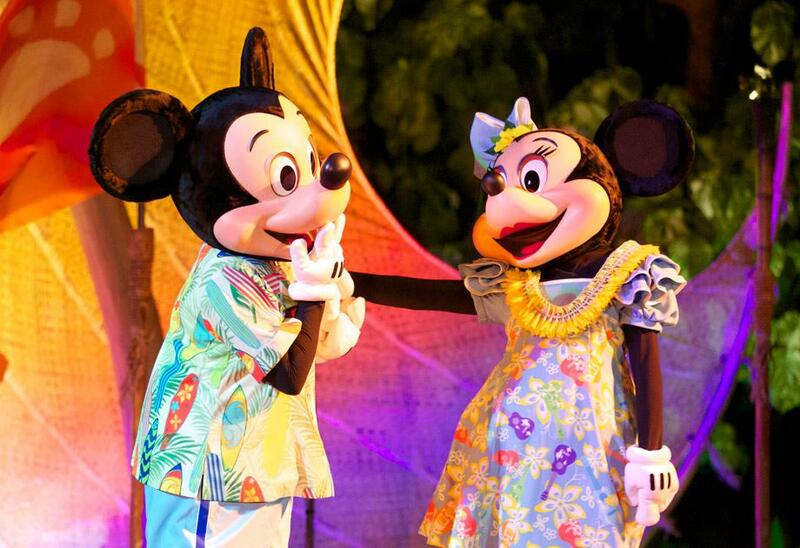 “We offer many wonderful experiences at Aulani Resort & Spa,” Jiggetts-Tivony says. “But Starlit Hui is very special and a one-of-a-kind experience.” And we couldn’t agree more!